The Coastal Research and Education Society of Long Island is pleased to announce its schedule for the 2013-2014 seal walk season. Westhampton Beach, NY - November 20th, 2013 - The Coastal Research and Education Society of Long Island (CRESLI) is pleased to announce its schedule for the 2013-2014 seal walk season. The CRESLI Seal Research Program monitors seal populations and conducts long-term photo-identification studies of seals around Long Island, including regular observations at major haul out sites around Long Island. Population counts over the last 16 years have indicated a significant and continuing increase in the number of seals utilizing Long Island's waters, as well as a shift in the species composition of the region. Historically, Long Island's seal species typically included harbor and grey seals. Recently, arctic species, such as harp, hooded and ringed seals, once rare for Long Island, have become more prominent. A two-hour naturalist led walk is available to learn about, observe, and photograph seals in the wild. Reservations are required and should be made at www.cresli.org. There is a suggested donation of $5 per person - please note that weather will play a significant role in determining the seal walk schedule. CRESLI seal walks at Cupsogue Beach County Park (at the western end of Dune Road in Westhampton Beach) will depart from area near the fence at the western end of the parking lot The walk is approximately 1.3 miles round trip and take about 1 hour. Meeting times are 15 minutes prior to departure. Children are welcome to participate. 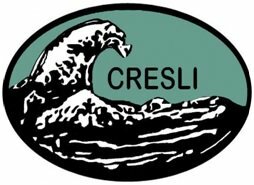 The Coastal Research and Education Society of Long Island (CRESLI),a 501 (c) (3) non-profit organization, was founded in 1996 by a group of experts in marine mammal science, environmental sciences, education and conservation. CRESLI was formed for the purposes of conducting research, providing educational experiences and promoting conservation of coastal ecosystems. Research and education are inextricably linked in all CRESLI activities. As such, CRESLI actively seeks cooperative alliances with researchers, educational institutions, and the participation of the public. Our pinniped and cetacean research projects, for example, utilize public whale watch cruises and seal walks as platforms for collecting data and educating the public at the same time. Subject: LongIsland.com - Your Name sent you Article details of "CRESLI Announces 2013-2014 Seal Walk Schedule"